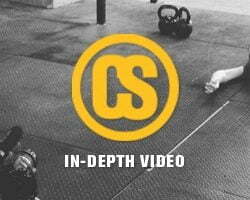 Many of our members train in basements, garages, or co-op gyms. Some aren’t so lucky and at best manage to work out on a home hangboard. Fascinatingly, these are some of our best climbers. 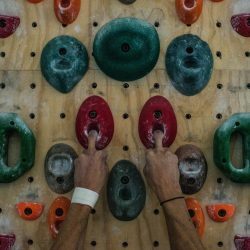 And although this is a great intro to a “get your mind right” article, this is about a specific workout that is as close as I’ve seen to a one-size-fits-all hangboard plan. This idea originally came from Pavel Tsatsouline in his book Enter The Kettlebell. I mentioned the idea to Chris Liddel (one of the guys who has a hangboard only to train on) and he went crazy with it for a year before coming back to me. Chris has a board, a few weights, and some plates he could add for resistance, but he didn’t like the weight adding part, so he changed things around a little. In Pavel’s book, he shows that isometric strength is better developed through increasing volume and frequency of training than through adding load alone. I’d seen this assertion elsewhere, so we thought we’d give it a try. 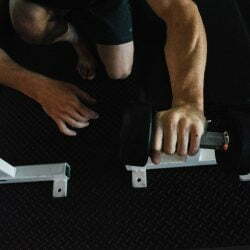 The general gist is that you do several sets of exercise at the same load (weight), but vary the volume with each set. By laddering up 1 rep, 2 reps, 3 reps, and then repeating, the athlete is forcing more volume into a workout and allowing for more adaptation potential. We picked 3, 6, and 9 second hangs to force a change in stimulus between sets. Each time you come back to the 3 second hangs, you get a little reprieve on the difficulty, but even these shorter sets add to the overall load. For climbers not able to add load to hangs, or for those who have hit a hangboard plateau, this is a good option. 2-3 sessions per week. 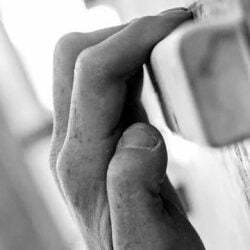 The big key is to start on holds that feel easy, that you can hold comfortably for 9 seconds. The overload to the system is not so much muscular as it is a strain on the connective tissue of the hands and fingers. This takes a long time to develop. Several compelling studies (yes, real university studies!) show that submaximal work can create big jumps in isometric strength, so take it easy at first. You’ll know when you’re strong enough to progress. 3-4 positions, all held straight-arm with “active” shoulders. Week 1: 3 straight ladders 3-6-9 sec. on a 45 second clock. position 1: 3 sec, rest, 6 sec, rest, 9 sec, rest. position 2: 3 sec, rest, 6 sec, rest, 9 sec, rest. position 3: 3 sec, rest, 6 sec, rest, 9 sec, rest. Week 2: 4 ladders 3-6-9 sec. Week 3: 5 ladders 3-6-9 sec. Week 4: 3 ladders 3-6-9-12 sec. Week 5: 4 ladders 3-6-9-12 sec. Week 6: 5 ladders 3-6-9-12 sec. Week 7: 4 ladders 1-3-6-9-12 sec. Week 8: 5 ladders 1-3-6-9-12 sec. These are all done without added weight. The value breaks beyond just strength training, and gives a good endurance stimulus as well. The time commitment toward the end gets big, and that’s where we separate the (mentally) weak from the strong. 2 sessions per week. 3 hold positions. These are done “Circuit Style” rather than straight. This protocol is shorter, more intense, and better in-season. We use half-crimp, full crimp, and an open hand position. Week 1: 3 circuit ladders 3-6-9 sec. on a 30 second clock. Week 4: 3 ladders 3-6-9 sec. Week 5: 4 ladders 3-6-9 sec. Week 6: 5 ladders 3-6-9 sec. Week 7: 4 ladders 3-6-9 sec. Week 8: 5 ladders 3-6-9 sec.